The treatments for different causes of dizziness differ so dramatically from one another that a one-size-fits-all approach cannot work. The best results come from identifying a specific diagnosis that result in specific and effective treatments for each patient. At ENT & Allergy of Delaware we strive to offer the highest level of care for patients with dizziness and balance problems. Evaluation requires a careful history, knowledge of the variable patterns of vertigo in known disorders, and a careful physical examination aided by testing of the balance system. The four most common diagnoses of patients with dizziness seen in our clinics are vestibular migraine, benign paroxysmal positional vertigo, vestibular neuronitis, and Ménière’s disease. About half of the patients we see with dizziness have symptoms caused by the same mechanism that causes migraine headaches. Migraines have many symptoms other than headaches, and the cardinal symptom of a migraine headache is sometimes completely missing. The dizziness of Vestibular Migraine has the same food, environmental and physiologic triggers as migraine headaches. Stress, hormones, weather changes and foods are commonly identified as triggers in our patients. Fortunately, once recognized, routine migraine therapies are successful in controlling symptoms. Another common cause of dizziness is Benign Paroxysmal Positional Vertigo (BPPV). In BPPV calcium crystals present in our inner ears to sense the direction of gravity come loose and find their way into the semi-circular canals. When changing head and body position the crystals fall through the canals and cause a sensation of spinning for up to 40 seconds until they reach the lowest position. People who get dizzy from lying down or rolling over in bed very likely have BPPV. This condition is more common in the elderly and is a dangerous cause of falls. Once detected the challenge is to identify which ear and which canals have crystals in them and to perform maneuvers or prescribe exercises that will be effective in either dissolving the crystals or moving them back to an area in the inner ear where they will not cause symptoms. Some patients with balance problems have an inner ear condition caused Ménière’s Disease. In Ménière’s Disease extra fluid accumulates in the delicate membranous labyrinth of the inner ear where all of the hair cells of hearing and balance reside. As the ear goes through cycles of accumulation of fluid and decompression through membrane ruptures, episodes of violent episodes of dizziness can occur and hearing, tinnitus and fullness in the ears can fluctuate. Unpredictable attacks of violent spinning with nausea and vomiting can last for more than an hour and wreak havoc on a patient’s life and, untreated, can continue for seven to twelve years so treatment to control vertigo is essential. Treatment starts with with medications, and if necessary injection of steroids or other agents into the ear. Some patients benefit from surgery to drain excess fluid in the delicate inner ear. Another common cause of balance problems is Vestibular Neuronitis. Vestibular Neuronitis causes the longest lasting severe vertigo attacks of any vestibular disorder. Out of nowhere comes a severe vertigo attack with nausea and vomiting that lasts an entire day and often sends the patient to the emergency room for help. Vestibular Neuronitis is caused by a virus which paralyzes all of the nerve endings from one inner ear. Fortunately the attack occurs only one time but it takes up to six weeks to recover. The affected inner ear may be weakened forever and the process of adaptation to the imbalance between the inner ears can be helped with special exercises. 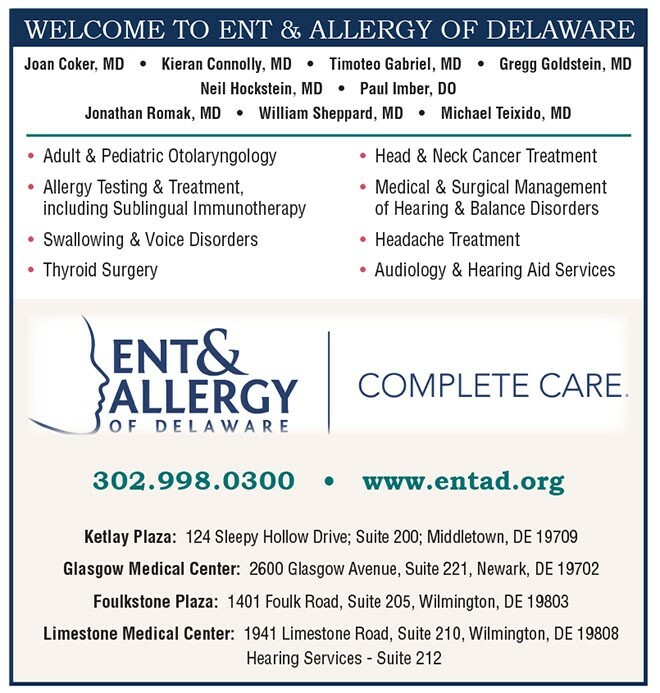 At ENT & Allergy of Delaware our diagnostic efforts are aided by a state-of-the-art balance laboratory in which we can measure the strength of the balance organs in one ear compared to the other. Other tests sensitive to specific conditions are also performed. This helps us narrow down the diagnostic possibilities in cases where the history and initial physical exam are inconclusive. While testing does not always give an exact diagnosis, it gives additional information that the doctor can consider in the context of the history and physical examination and can be essential to finding a correct diagnosis. We can then be sure that our treatment efforts are being put in the right place. Dr. Teixido is a Delaware native and practices at ENT & Allergy of Delaware. He is Delaware’s only Neurotologist (neurology and neurosurgery of ear disorders). 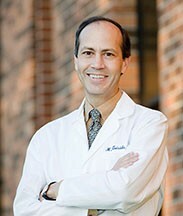 He is director of the Delaware Otologic Medicine and Surgery Fellowship training program. He teaches ear medicine and surgery regularly at Thomas Jefferson University and at the University of Pennsylvania where he is Assistant Professor, and at Drexel University, as well as nationally and internationally. Dr. Teixido founded the nonprofit: Association of Migraine Disorders to raise awareness and provide helpful resources to patients looking for solutions and to coordinate research efforts in the area of migraine disorders.